Monday Madness – Is this Safari animal heaven? 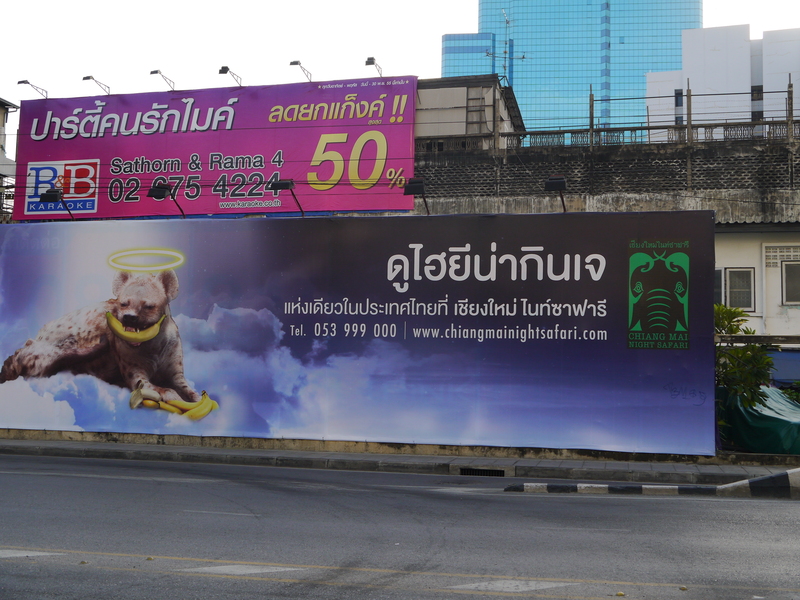 We were recently out wandering with Nic’s family (it’s been great having them in Bangkok) and we saw this sign. Initially I only saw the hyena and I wasn’t sure what kind of animal it was but I thought is that sign advertising some kind of doggy heaven. 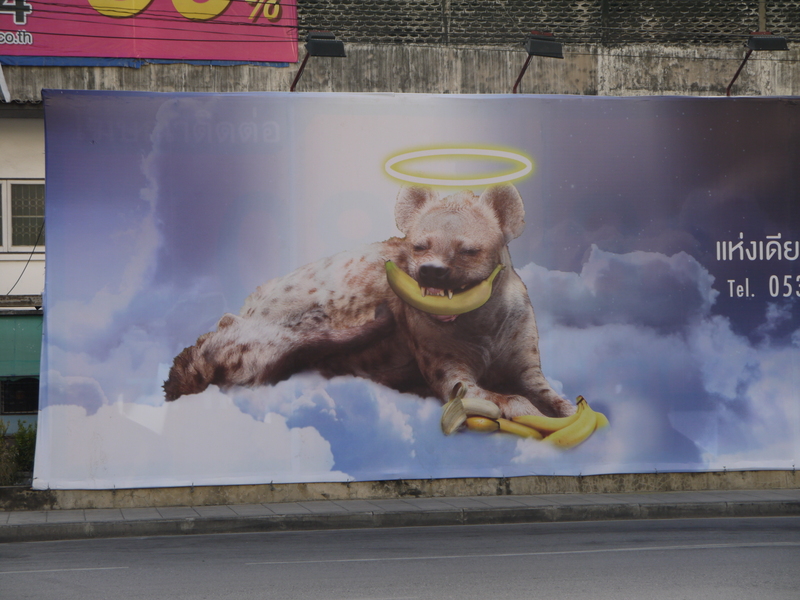 Because an animal sitting on a cloud, with a halo and banana smile sure does seem like some kind of animal heaven. But it turns out to be some kind of animal safari in Chiang Mai. Whether that’s animal heaven I’m not sure but we are assuming there won’t be hyena’s with halo’s when you visit! Don’t know if you are still curious. Thanks, that’s nice to know. I’m glad you are enjoying the blog and I’ll try to write some more about the volunteer work I’ve done in Bangkok.